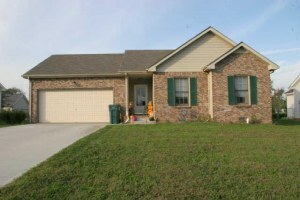 Fort Campbell straddles the Tennessee-Kentucky state line, and Oak Grove homes are about a mile away. As of 2010, almost 7,500 people live on ten square miles of land. Seventeen cops look after them. Aside from Ft. Campbell, construction, production and public administration in nearby Clarksville keeps owners of Oak Grove KY real estate busy. Their kids attend Clarksville schools in one of 16 elementary schools, five middle schools and five high schools. Austin Peay State college students often rent in Oak Grove. Other colleges near here are North Central Institute, Miller-Motte Technical College and Daymar Institute. Oak Grove is #7 on the Top 100 list of cities with the largest percentage of top executives. The community of Oak Grove is relatively new, with a very short historic timeline. Oak Grove sprang up and grew beside Ft. Campbell (originally Camp Campbell), which opened in 1942 during World War II. Oak Grove was incorporated in 1974. 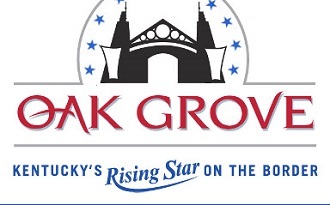 Being constructed for the pleasure of owners of Oak Grove real estate is the Oak Grove Entertainment Pavilion, an area for outdoor entertainment and recreation. Also available to residents of Oak Grove homes is the War Memorial Walking Trail, a mile-long trail with markers honoring veterans of all American wars. Picnic tables allow folks to enjoy the flora native to the area. Christian County parks include disc golf in Hopkinsville, Trail of Tears Commemorative Park and in Round Table Literary Park, a replica of King Arthur's sword in the stone, round table and a Greco-Roman amphitheater. Golden Pond Planetarium's laser light shows make learning about the heavens a somewhat less than studious experience. Mammoth Cave National Park offers 350 miles of caves to explore. Classic cars and antique fire trucks will fascinate the whole family at Woody Winfree Fire-Transportation Museum. See a miniature circus and learn all about the Night Riders in historic Christian County museums. Oak Grove homes enjoy proximity to town events their buyers will enjoy attending. Small Business Saturday offers locals the chance to skip Black Friday's madness and do their holiday shopping at brick-and-mortar stores. Clarksville's aquatic center offers a Toddler Splash and Pool Party the first Wednesday of each month. Tots can swim, participate in a water parade and "fish hunt." Chocolate with your entertainment will be hard event to beat, so definitely check out A Chocolate Affair. The Fort Defiance Civil War Park in Clarksville preserves a look back in American history.